AA Self Storage offers affordable South Hill, VA storage rentals for self storage, portable storage, climate controlled storage, RV and boat storage and more. We have 10 storage locations throughout North Carolina and Virginia, and our storage centers are equipped with the latest security options. Take advantage of our affordable storage options and our featured special — and don’t forget to check back for different deals! Rent our 10×10 climate controlled unit and get the first month for only $10 with full payment of the second month’s rent. That means your first two months total is only $110.00! Print this page and bring it to the AA Self Storage office in South Hill, VA to take advantage of this special offer! Reserve your storage unit in South Hill today from AA Self Storage. Our prices are affordable, and our storage buildings feature 24-hour surveillance. If you would like to see our storage facilities, view our online photo gallery, or contact us and set up an appointment. 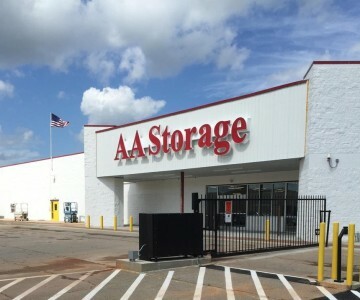 AA Self Storage offers affordable self and portable storage for rent in South Hill, VA and throughout the states of Virginia and North Carolina. Our locations include Lynchburg, VA and Raleigh, Wilmington, Henderson, Jacksonville, Porters Neck, Butner and Oxford, NC.